Michelle Obama's 2009 inauguration dress sent waves throughout the fashion world, as people buzzed about the hot new designer that had made the first lady's ravishing one shoulder white dress. Jason Wu became the name on everybody's lips. 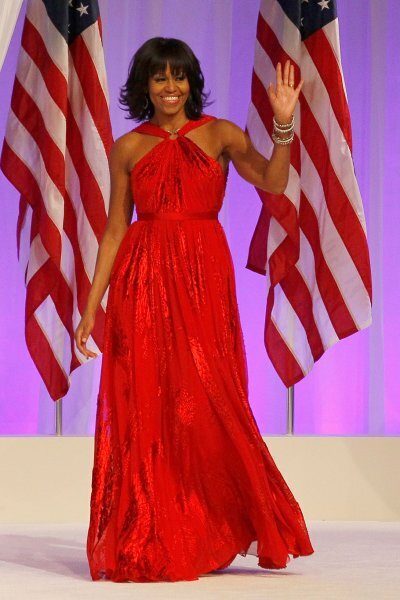 This weekend, the First Lady stayed true to Wu and donned another one of his designs, this time a shimmering red halter gown. Which dress was your fave? 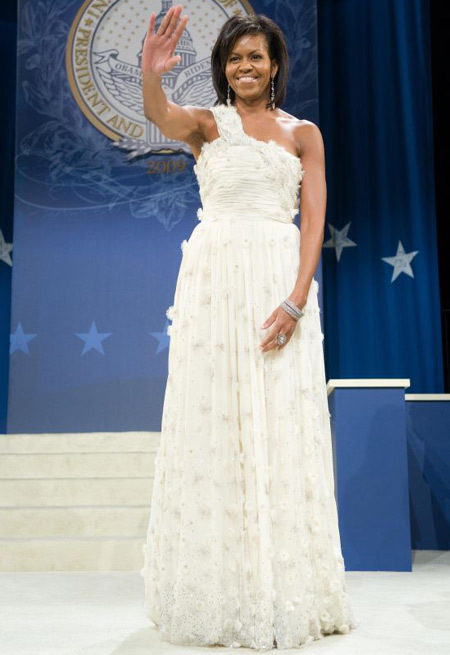 Along with a her new do, Mrs. Obama wore some Jimmy Choo's and Cartier diamond bracelets. Thoughts?